Maserati Tipo 151/3 looks fast standing still! 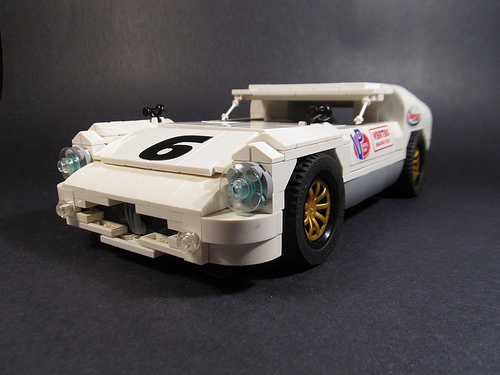 Tim Inman (Rabidnovaracer) gives us this snazzy Maserati Tipo 151/3, built for the LUGNUTS “Order By Number” Challenge. Some notable points of interest, minifig ski poles for the windshield pillars and Wolverines claws for the Maserati logo.